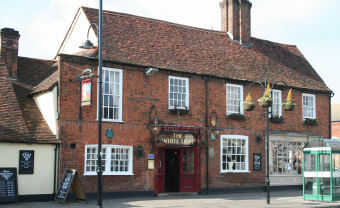 The White Lion has had a refurbishment, and is now called the Mulberry Tree. Very relaxing and very comfortable historic pub, which was number 4 on our 10-pub crawl around Old Stevenage. Just three real ales on offer - I had the Rocking Rudolph which was well-kept. The menu was more expensive than the Drapers Arms down the road, but the food looked better quality. You could bring your mum or your family here, and they would be fine. A greater range of beers would be preferred, especially as one of them was GK IPA. Standard chain pub. Perfectly OK.
Had lunch in there today with my brother and it was fine, good food and greeted and served by polite, social and particularly beautiful member of staff. Think she was the manager. Look forward to going back there some time.